I’m sitting in my car in the dark under a street lamp in a shopping centre parking lot. This is my last stop before I finally get to head home and relax, after driving too many hundreds of kilometres up-Island and then down and back up, on Vancouver Island. 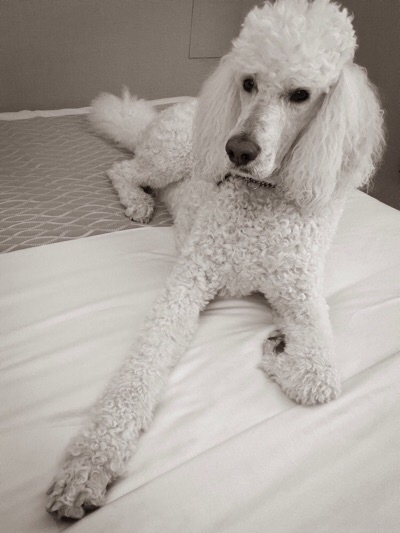 My dog Teddy and I enjoyed an overnight pet friendly stay in Victoria, for which the overnight not planned, but a spontaneous decision. The pelting down pouring rain on the highway was a deterrent to heading home in the black of the dark of last night. Some people have snow, we have hydroplaning with too much water on dark and rainy highways in the fall; to be avoided. Although I was in my car way too much the last two days, there wasn’t a moment that I didn’t feel grateful for living on Vancouver Island. It truly is a visual paradise, no matter where you go, no matter the weather. OK, some times I would prefer blue skies to gray skies, but for the most part, us Islanders are fortunate people … and no wonder it costs so much to live here! Why did I drive so far when there are other stores that could have helped me in the North and Central Island? One guy, named Gary, at Tom Lee Music in Victoria. He told me “I’ll make it worth your while” (the drive down) … and he did. Gary gave me personal ukulele service in a private listening room, and had knowledge that I didn’t find anywhere else. He played and sang for me (he actually IS a ukulele player) and his knowledge correlated with the same information that I had previously researched. I’m a research-a-holic for anything I purchase, and I don’t like to know more than the person (expert) selling to me. I didn’t! Gary taught me many things about the ukulele and its history and he knew all the woods (koa, acacia, mahogany, spruce, etc.) 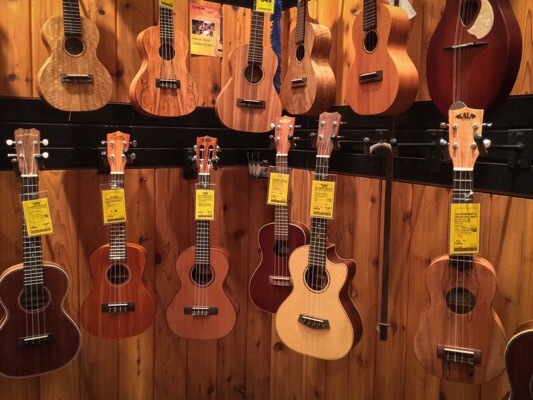 that I know ukuleles can be made from, but he actually had been to the factories in person and also had lived in 2 of the countries where they manufacture and hand make the high end ukuleles also. I could not have found a more perfect guy to purchase a ukulele from! And bonus? What sold me on the phone before I drove down? Gary and I shared cancer stories. When you’ve had cancer and survived, you share a common bond, and Gary understood more than most people, the struggle to come back (to music) after a long time away. Gary is awesome. And I came home with a (deeply discounted) ukulele and tuner, a new case and more ..: I’m pretty happy. So it’s worth it, for you to go the extra mile (literally) when someone else bends over backwards for you. I’ve now also built a new business relationship with him and with a music store that I now love even more, because of my experience with Gary there. Win-win! Thank you Tom Lee Music!